“I didn’t really like eating American salad when I came to Salisbury. I thought it was kind of weird,” eighteen-year Theo Quartey admits. Theo, an international student at the Salisbury School, has had to adjust to many aspects of life in the Northeast, from the bitter cold winters of Connecticut, where the campus is located, to the choices for school meals. Is it June already? A lot has happened since my last blog post in September 2013. Kirkwood Community College completed a campus-wide application process for the Cross-Cultural Solutions program. We selected seven outstanding students and one faculty member from the English Language Acquisition (ELA) Program. In my final year at UC San Diego, I led a group of 14 fellow students on a volunteer program through Cross-Cultural Solutions in Cartago, Costa Rica. We were looking for an experience that would be memorable, and more than just a typical spring break. Safety and pre-departure support were also top priorities for us since we were students and even had a few first-time travelers in the group. And this is how I found Cross-Cultural Solutions. In the summer of 2012, Kirkwood Community College sent our very first group of students overseas to volunteer with Cross-Cultural Solutions. Since then, we have sent students and faculty to Tanzania, Peru, and Costa Rica. 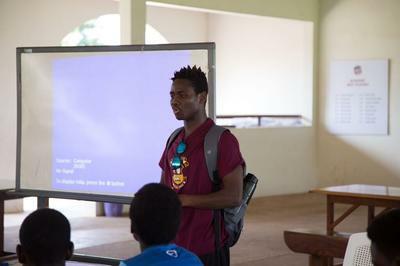 And in 2014, I'll be leading my very first group of Cross-Cultural Solutions student volunteers on an immersive cultural experience in Ghana's Volta Region. Here at Cross-Cultural Solutions, we've been helping groups of all sizes, interests, and ages realize the volunteer abroad adventure of a lifetime since 1995. 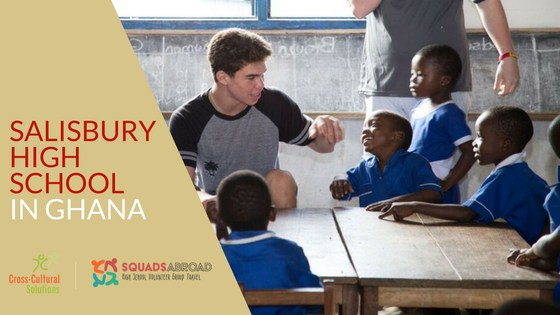 In fact, it's my job as the Group Specialist—along with my co-Group Specialist, Kemper—to make sure that your group volunteer abroad experience is everything that every single member of your group dreamed that it would be! Here are 5 reasons why your next spring break should be an alternative spring break with Cross-Cultural Solutions. Cross-Cultural Solutions offers meaningful travel for working professionals, whether you are a job seeker, on sabbatical, looking for an enriching short-term volunteer vacation, or as a team-building corporate group.